Docs Smokeshop carries the best vaporizers in town. We have a vape for all your needs whether it be a portable for dry herbs, liquid or thinner materials like e juice, or waxy or concentrate material we have the vape for you. Our companies that we choose to represent stand behind their products! Some of our favorites brands include O.pen, Pax, Dr Dabber, Source Vape, Vapor Brothers, Puffco and of course Storks and Bickel products like the volcanoes or the crafty! The technology in the vaporizers is improving every day. 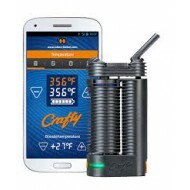 Vaporizers precisely heat your oil, dry herb, or e-liquid to the ideal temperature for vaporization. The idea behind a vape is to heat your herbs or concentrates up just enough to enjoy the effects and flavors, but not enough to actually combust them. When combustion occurs, carcinogens and other toxins are released that are unhealthy to the smoker. Available in a variety of different styles with several different heating elements, vapes use state of the art technology to deliver a healthier smoking experience. The best vapes for your dry herbs have the "ovens" or heating chambers instead of the coils, that your material used to sit on top. Heating chambers made of solid ceramic and stainless steel with no exposed heating coil or heating element are best for dry herbs. 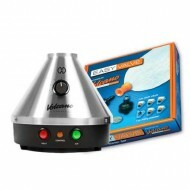 We call these true dry herb vaporizers because you are able to achieve True Vaporization. Without an exposed heating element, the herbs are evenly baked like a convection oven. This will lift all the aromas into a vapor that can be inhaled. The dry herbs will not burn or turn to ash, they will only brown.On the contrary, with an exposed coil, the direct heat will ignite (or combust) the herbs, producing smoke instead of vapor—just like a traditional pipe. When dry herbs burn, they will turn to ash. Heating chambers with exposed heating coils are best for wax concentrates. 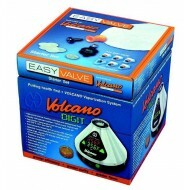 It allows for the wax to come in contact with a very high rate of heat. The heating coil will melt down the wax into oil and produce vapor. It's best to only apply a small amount of concentrate at a time, or you may over-saturate the chamber with the oil. Devices with cotton wicks will help absorb any excess oil. Vapes for wax originated with a wick coil, but they are now offered with ceramic rod coils, and the most recent addition - quartz rod coils. Where the wick coil is great for absorption, the ceramic and quartz rods will create a better vapor taste. Docs smokeshop is a licensed O.pen retailer. 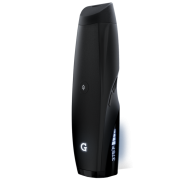 The CFX is one of the quickest and efficient dual use vapes on the market. 20 second heat up t..
CFX Boundless Technology Vaporizer for Dry or Concentrate. This is how you smoke like a stealth Ninja. The Clout Pen looks like a fancy key fob. Gr.. 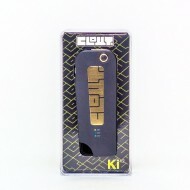 Clout Ki v2 Pen for Concentrates. Conflict 50W Box and Subtank in stock at Doc's Smokeshop in Baltimore, Md. Call 410-327-3676 to.. Conflict 50W Box and Subtank. Finding a small vaporizer that also happens to work wonderfully doesn't have to be a daunting task a.. The Exxus Twist Concentrate Vaporizer by Exxus Vape is a pen-style unit that's highly compact. Peopl.. 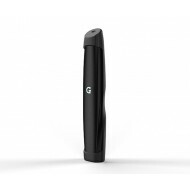 The G Pen Gio Battery is designed to work with G Pen Gio Cartridges. The design is sleek and f..